FULTON, NY – The mayor and Common Council, in recognition of the Polish heritage that comprises a segment of the Fulton community and in appreciation to the city’s Polish-American community for its cultural contribution to the city, proclaimed Sept. 20 as the ninth annual Polish-American Day in the city of Fulton. 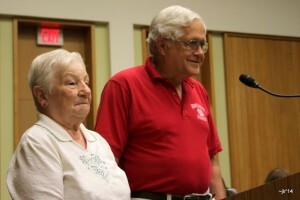 Dora Roik and Bob Vayner at the podium during the Sept. 2 Common Council meeting. “Sept. 20 has been the date selected to recognize the accomplishments an contributions to our city by our Polish-American citizens,” the mayor proclaimed. 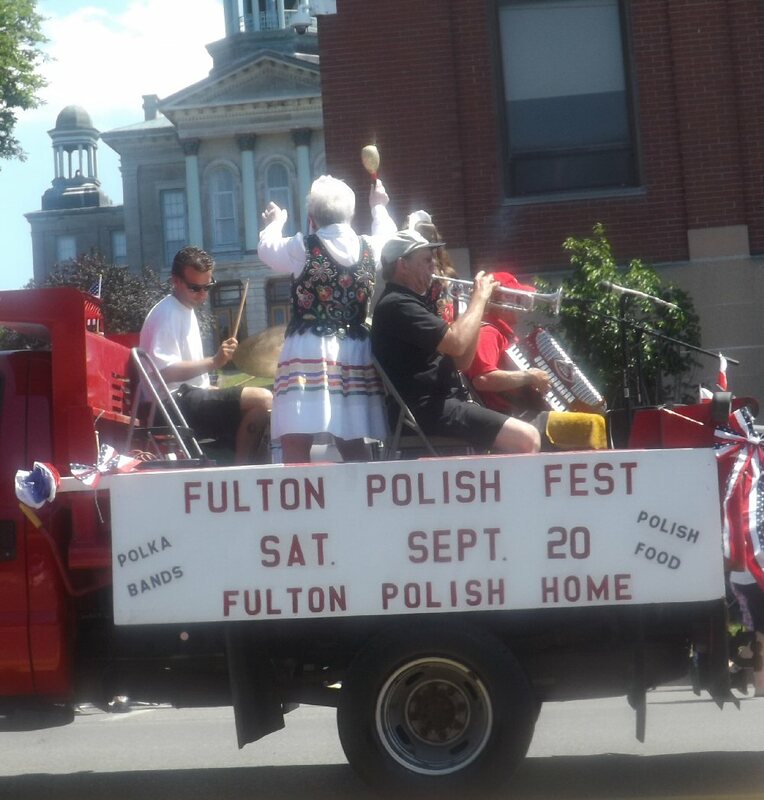 The festival allows all that gather at the Fulton Polish Home on that day the opportunity to enjoy the traditional food, music and dance of the Polish community and proceeds from the day’s festivities are to be allocated to the Polish Home Building Improvement Fund. The mayor noted that the Fulton community also benefits from the many volunteers who provide a meeting place in the city for charitable, organizational and social benefits. Councilors Dan Knopp, Jay Foster, and Jim Myers, Mayor Ron Woodward, Polish Festival co-coordinators Dora Roik, Holly Carpenter, Gail Gugula and Don Diak; back row John Stanek, Councilors Tom Kenyon and Larry Macner, along with Frank Gugula, Bob Vayner, Joe James, Nancy James and Michelle Stanek. Councilor Jim Meyers further encouraged community members to attend. “It’s packed every year. There’ll be babkas, golumki and pierogies,” he said during the evening council meeting. “Hey Jimmy, I haven’t eaten yet,” Council President Dan Knopp said with a chuckle. The Polish Home is located at 153 W. 1st St. S. and the festival runs from noon until 7 p.m.